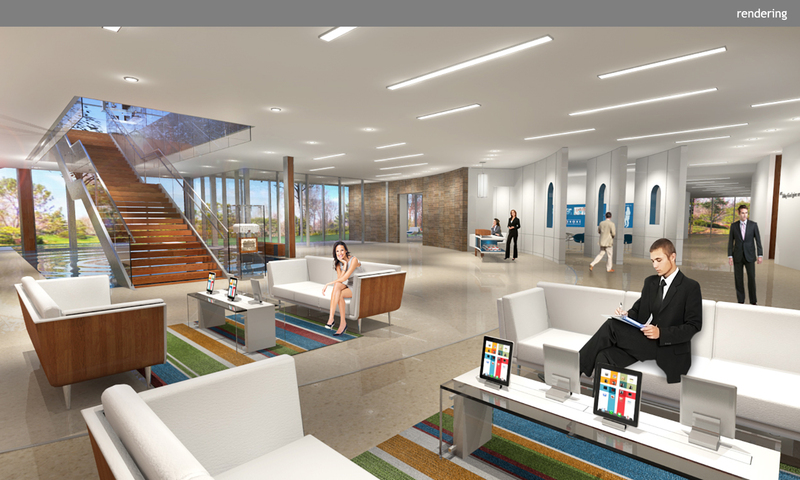 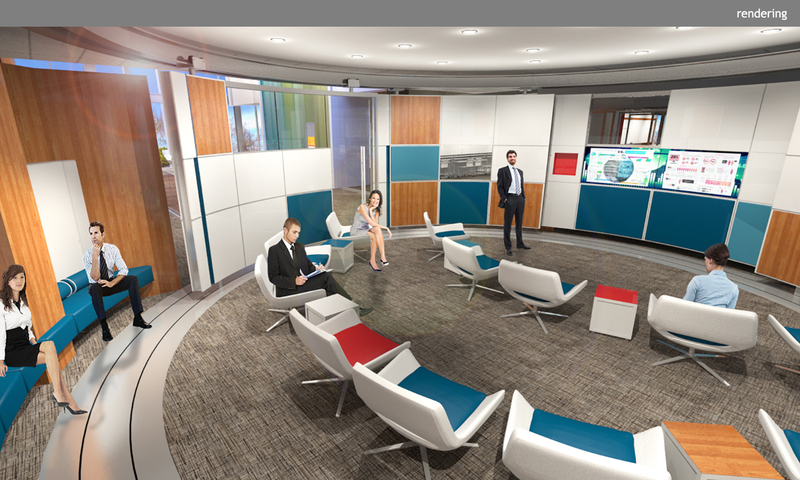 Forum Studio and Clickspring collaborated to design the nation’s first Virtual Care Center in Chesterfield, Missouri. 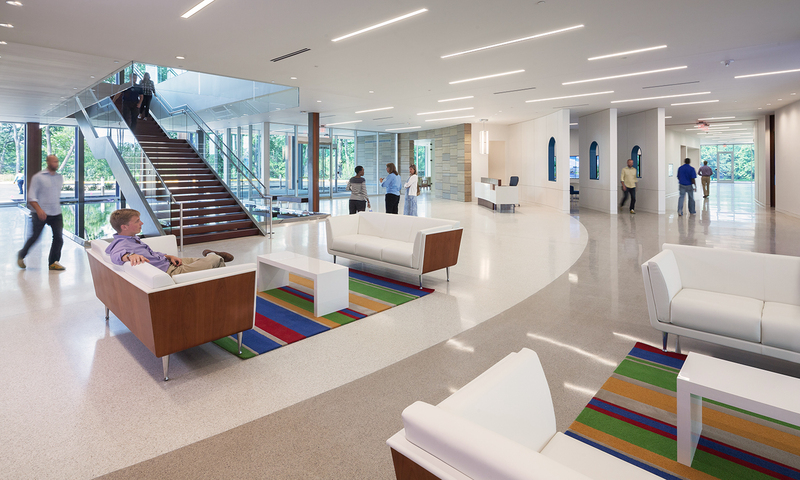 The four-story, 125,000 square-foot facility is designed to provide patients in remote locations access to excellent healthcare despite geographic restrictions. 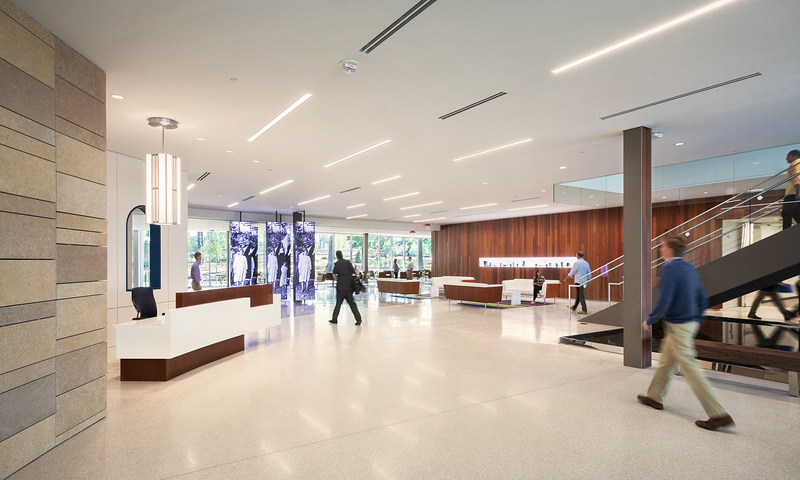 As Mercy is leveraging advancements in technology to deliver better patient care, we utilized a variety of media to communicate Mercy’s core narrative, disseminate the benefits of telemedicine to visitors and potential stakeholders, and ultimately grow Mercy’s footprint of virtual care. 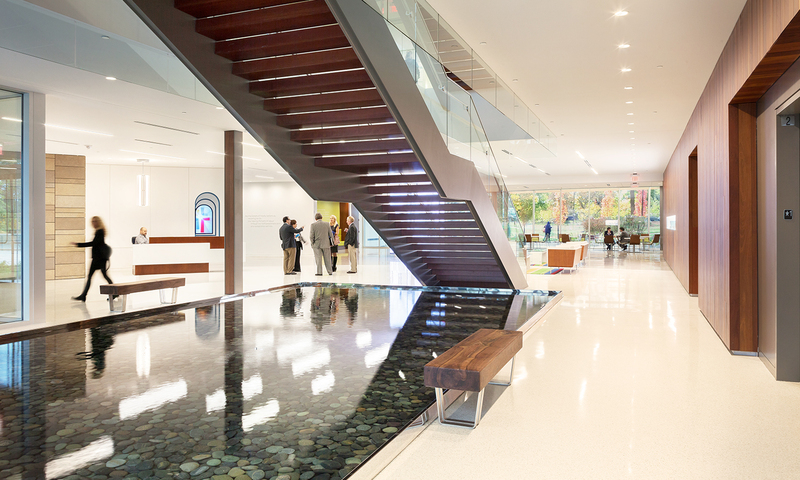 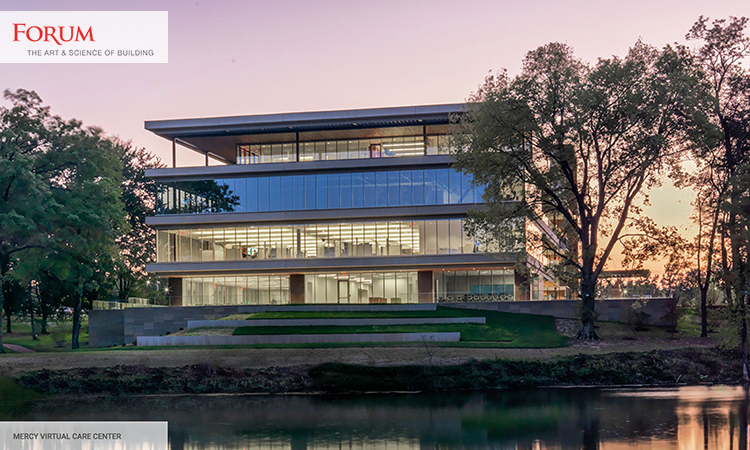 Mercy Virtual is entered via a naturally-lit stair lantern, alongside a reflecting pool that pushes from the building’s exterior to the interior. 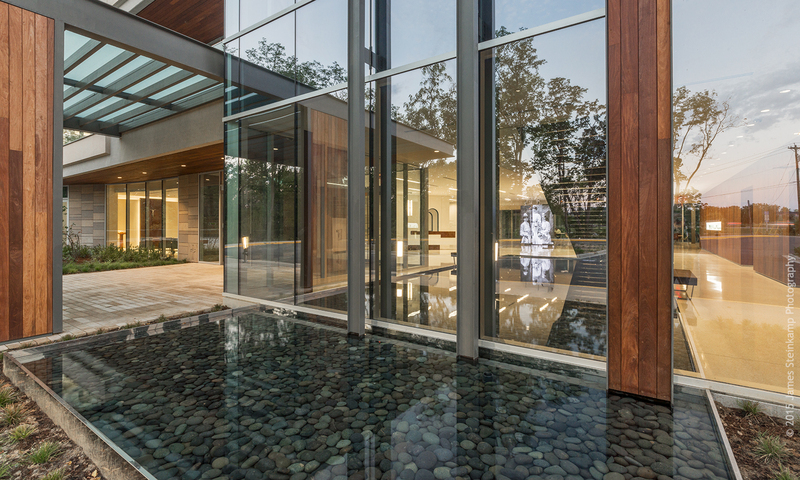 The calm water is rippled periodically by a single disruptive droplet, symbolizing the potential impact and power of an unconventional idea or action. 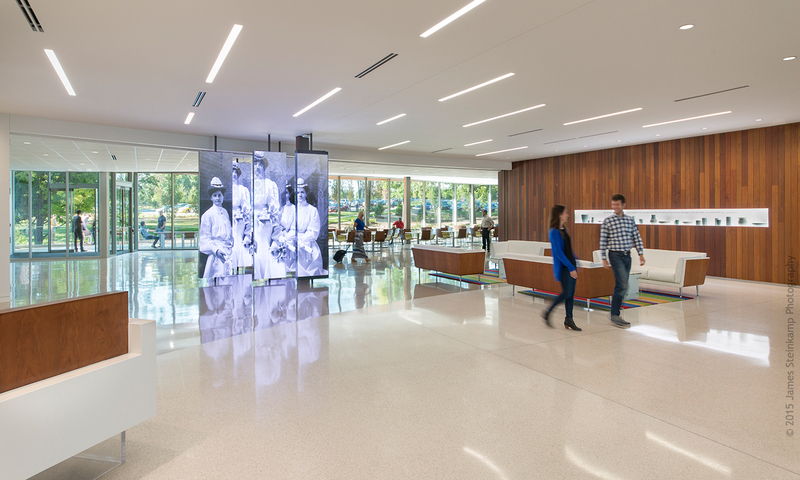 Further within the lobby stands a staggered array of LED columns across which images from the Mercy archives slowly shift and (at a specific point) resolve, communicating that while Mercy’s mission is an historical one, its principles translate to contemporary and innovative applications. 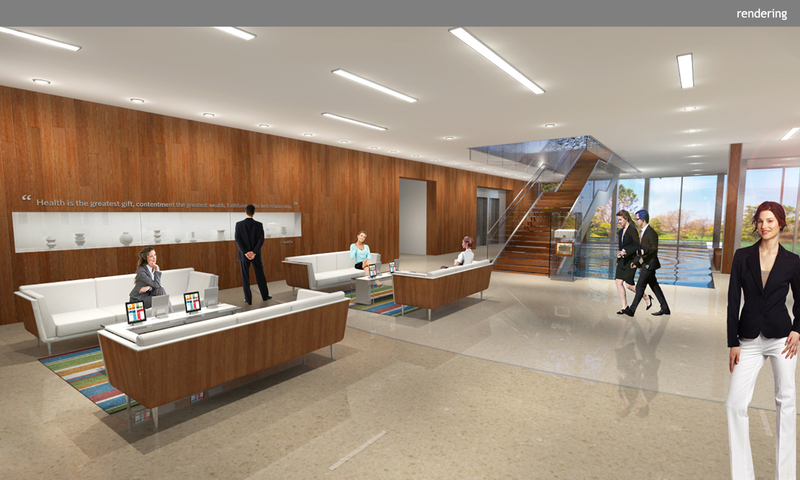 Mercy Virtual’s second floor houses the actual, operational telemedicine teams that monitor and deliver healthcare to thousands of patients. 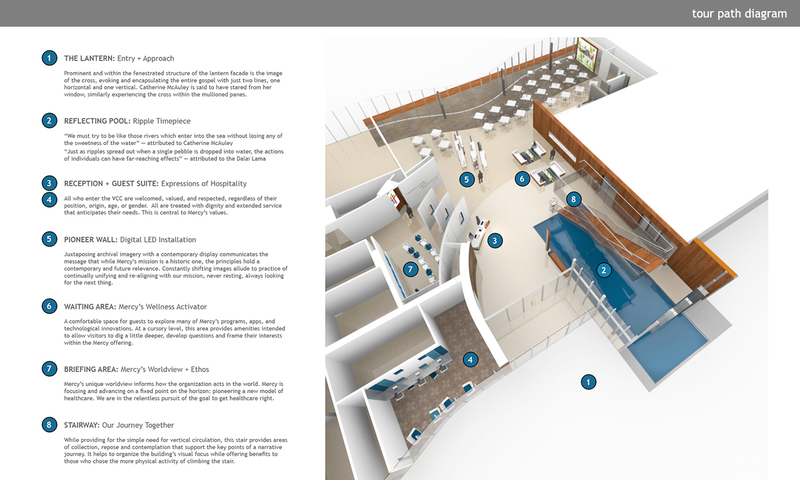 A demonstration space dubbed the “Continuum of Care” directly illustrates these services to visitors. 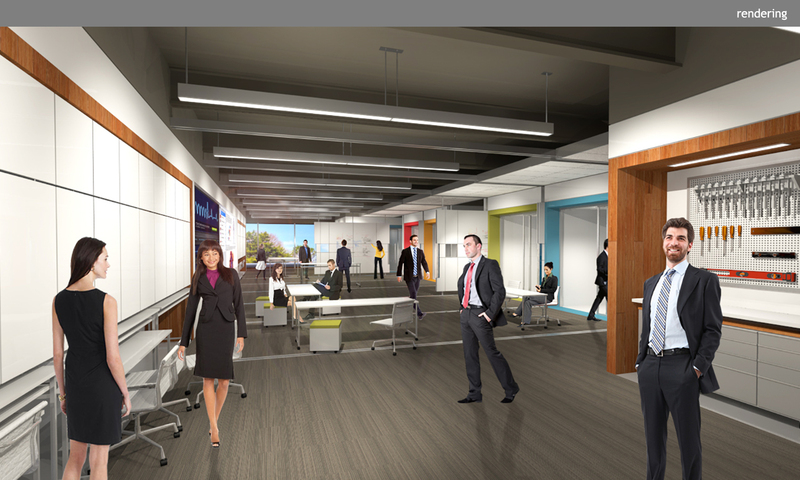 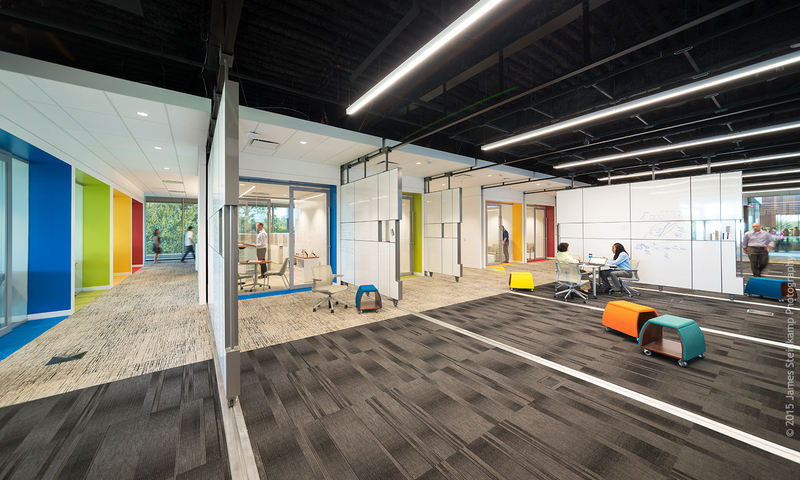 The fourth floor houses the “Garage” — a highly-collaborative and (inter)active work environment for healthcare innovators, visiting technologists, and strategic partners. 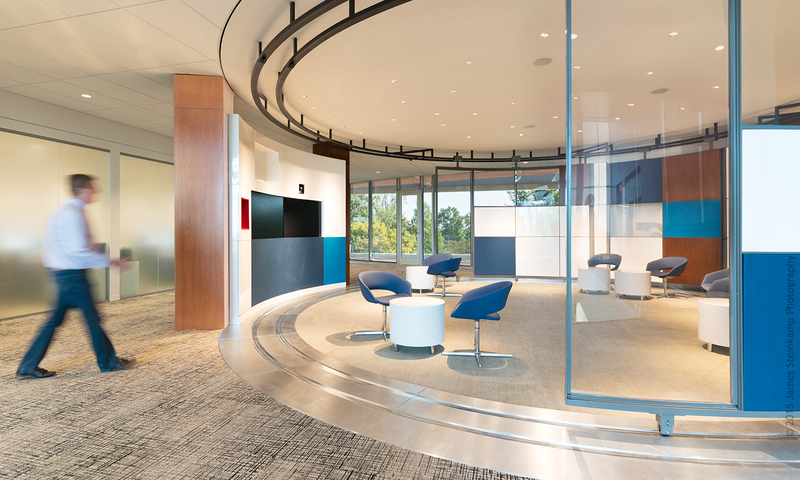 With reconfigurable work walls and large-format technology that allows flexible, real-time sharing and editing between disparately located team members, the “Garage” enables the pushing of boundaries so that Mercy’s telemedicine programs are continually evolved and made more effective.